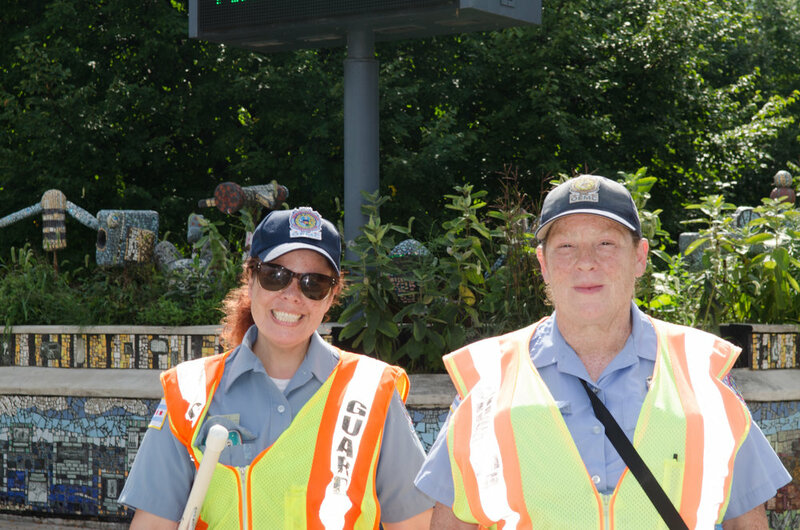 Our crossing guards help ensure student safety every day! Please follow their directions when driving or walking near our school. Student safety is always our top priority at Ravenswood. We work with CPS’ Office of Safety and Security to ensure our policies are always up to date. When it comes to safety, we need your help. Though some of our rules may feel inconvenient, please know our intention is to prioritize school safety at all times. We appreciate your support. Parents and guests must enter and exit through main entrance on Paulina only. Please stand in front of the camera and ring the bell. All visitors must sign in when entering the building. All visitors must obtain a visitor/volunteer pass on the red lanyard upon checking in. This includes school tour visitors. All volunteers must be registered properly under CPS policy. All non-registered visitors must go directly to the main office. Doors should remain shut at all times. Do not open the door for others. Only Ravenswood students are allowed on the school playgrounds during school hours. After dismissal, parents and students should not re-enter the building. If re-entry is needed, please proceed to the main entrance to sign in and check in at the main office. Please use crosswalks when crossing the street and be vigilant when driving around the school. The staff parking lot and street parking is off limits to parents and families. Please follow all BASA drop off and pick up procedures.